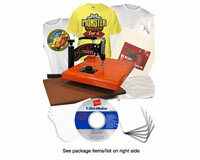 Add Apparel Printing & Photo Gift Making To Your Business or Make School Curriculum Exciting To Keep Students Engaged! 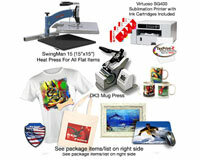 Wholesale To The Trade & Educational Market - We Have Everything You Need! Depending on your product selection you'll be able to print shirts, mouse pads, mugs, caps, tiles, tote bags and much more! Below are suggested product combinations for your convenience only. You can combine and create your own list of products using the navigation. 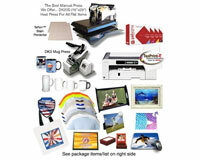 To Learn The Most Cost Effective Ways To Print Your Items Click Here! The seller does not guarantee the purchaser will derive income from the purchase which exceeds the price paid for the items purchased.